Even in the midst of all political gerrymandering going on in Sri Lanka as election fever is heating up, China must be one country praying (but do Communist nations pray?) for former president Mahinda Rajapaksa’s successful return as prime minister after the country elects a new parliament on August 17, 2015. 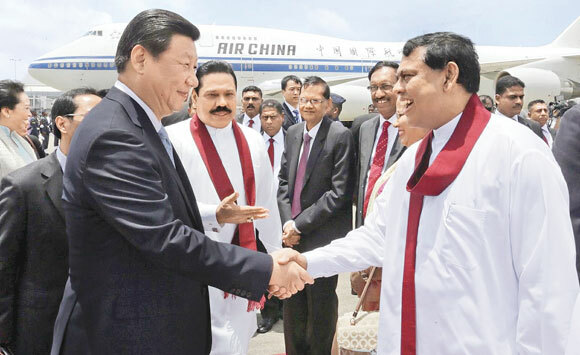 When the people elected President Maithripala Sirisena in preference to Rajapaksa in the presidential poll last January, they also derailed China’s strategic gravy train that chugged along smoothly in Sri Lanka during Rajapaksa’s second term as president. President Sirisena the new incumbent froze all China-aided mega projects notably the $1.4 billion Colombo Port City Project signed up during Rajapaksa-rule, pending their review for procedural lapses and corruption investigation. However, since then both the countries have tried to understand, if not redress, each other’s concerns also on the twin issues of high cost of Chinese loans and financial viability of the mega projects. There was a lot of billing and cooing about their friendship when President Sirisena and foreign minister Mangala Samaraweera visited Beijing, probably kindling hopes of China to repair its relations with Sri Lanka. Probably China became more optimistic about regaining its position of primacy in the island nation after former president Mahinda Rajapaksa, China’s favourite Sri Lankan was chosen by the United Peoples Freedom Alliance (UPFA) coalition to contest the parliament election. There were also other indications of Sri Lanka warming up to China. Sri Lanka President had inaugurated on June 7, 2015 the construction work on the China funded Matara-Hambantota expressway which provides a link to the Colombo-Matara expressway via Galle funded by the Chinese. China’s Ambassador to Colombo had expressed satisfaction over the commencement of the work on the project, which would create job opportunities for the people, in an interview to the DailyFT, Colombo. China’s exim bank had funded the $180 million Galle-Matara expressway. Phase 2 of the Hambantota port project has been inaugurated; on completion it would increase the port capacity to handle 12 ships at a time from two at present. 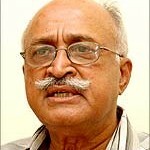 On the defence front also there had been no let up in China-Sri Lanka cooperation. Special Forces and commandos of China and Sri Lanka army have just concluded the three-week long exercise “Silk Route 2015” to hone up their special operations skills. Last month, a Chinese military delegation headed by a Major General has carried out a review of the ongoing Chinese funded auditorium complex in Sri Lanka Military Academy at Diyatalawa. China also appears to have realized the need for relationship building with people at the grass root level. Two Chinese companies – the China Communications Construction Company Colombo Port City Project Company and the China Harbor Sri Lanka Area Company donated $14,400 towards constructing four wells to provide clean drinking water to the people in war-torn in Puthukkudiyiruppu in northern Sri Lanka the Xinhua reported. So, China was probably not amused to hear Minister for Justice Wijayadasa Rajapakshe’s announcement on June 20, 2015 that the Colombo port reclamation project would be allowed to progress only after revising the contract signed by the previous government. Addressing the press, the minister said the government decision was to prevent any negative impact on Sri Lanka and other neighbouring countries, especially India, before resuming work on the Colombo project; this indicated Colombo’s positive response to India’s concerns expressed during Prime Minister Narendra Modi’s maiden visit to Sri Lanka in May 2015. India which accounts for nearly 70 percent of the Port’s traffic had pointed out its strategic concerns at China gaining sovereign control over a large part of the reclaimed land very close to the port. The U.S. which had been getting cosy with the Sirisena government also probably had similar strategic concerns. Though President Sirisena’s government had assured the Chinese about Sri Lanka’s ever lasing friendship with China, the fractures in their relations would take time to heal because Sri Lanka would like to dilute its dependence upon China. Sri Lanka’s external affairs minister Mangala Samaraweera on a visit to Japan touched upon this aspect in an interview to the Japanese news channel NHK on June 18, 2015. He said the defeated President Rajapaksa had promoted a foreign policy that relied on China whereas his government was trying to follow a balanced policy with all countries including China. Though China had overtaken Japan as the biggest source of assistance in 2009, the Chinese aid led to rampant corruption under the previous government. 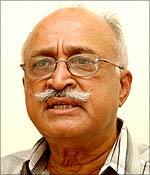 He said the Colombo Port city project may not have followed the appropriate procedures and was being reviewed. And the project is still limping. Another reason could be to negotiate cheaper loans to get out of the high interest Chinese debts. In fact, the Central Bank Governor Arjuna Mahendran has recently said that the government was in the process of reviewing the Hambantota hub project and trying to improve the existing harbor and airport facility in Colombo would be a better option for reasons for economy. There is no doubt Prime Minister Modi’s initiative to build a win-win relationship with Sri Lanka had created a favourable climate for Sirisena government to balance its relations with China. So much would depend upon how India follows up on the promises made during Modi’s Sri Lanka visit. As of now the signs are favourable; but jn the past, India had not covered itself with glory on timely delivery of its promises. China would never give up on Sri Lanka as it has too big a strategic stake in Indian Ocean and South Asia. Sri Lanka is an important pivot for China’s power projection in Indian Ocean as well as an irreplaceable investment destination for the success of President Xi Jinping’s pet project – the 20th Century Maritime route. Last but not least, Sri Lanka is the vanguard for India’s peninsular defence and power projection in Indian Ocean. The writing on the wall is clear: India simply cannot afford to take it easy on the work in progress in building win-win relations with Sri Lanka, whosoever comes to power in the island nation.